#Juneathon Late Starter Day#1 I Hate Treadmills…. I so hate and do and admire anyone who can stay on a treadmill…. Today’s exercise was 1 hour Pilate’s Class then hoped onto the treadmill hoping to do a hours run and this do so not happen.In the past I have only manage a few runs over 5 minutes but today I tried to do a 10k but after 5 Min’s I knew this wasn’t going to happen…in the end I reach a mile and hopped of filling up with almost madness at myself and stormed off home. Although I have loads of challenges going on in June I am now thinking to make another challenge stay on a treadmill for half hour and learn to love like it! I wonder if it is possible…..Later went for a run in the lovely fresh air…..
Only I hurt my hip last week doing club reps on the grass and on my long run Sunday I felt it hurting so that’s why I left Monday,Tuesday and didn’t run. 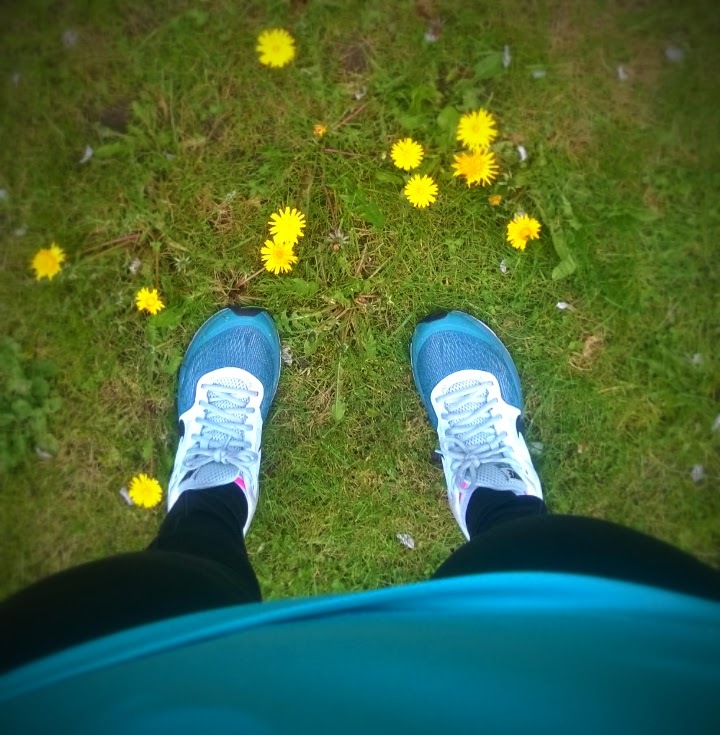 Tonight when I ran my hip was in pain and I could only do a mile my right leg has gone and I could not pick it up…Great and on day one of #Juneathon, Oh well I have run and tomorrows another day off now to go on the foam roll and lots of stretching….. Anyway my question to you Love or Hate the treadmill? I know exactly how you feel about the treadmill / dreadmill. I have a tolerance of about 5 minutes generally but I can stretch it out to 20-25 minutes if I do intervals on it. It seems the constant pushing of buttons keeps me interested for a bit longer. You have my sympathies for the injury, I hope it gets better soon. Welcome to Juneathon – better late than never! Treadmills? Dreadmills more-like. At our gym they look out over the swimming pool so if there are some good swimmers it can be quite hypnotic! But nothing quite beats being out on the open road! Don't be too hard on yourself with that foam roller – it is the torture tools of the devil! Hope your hip feels better (my husband has had to explain what a foam roller is). I quite liked the tread mill but I can not get away with the cross trainer!